For sponsors and team members. 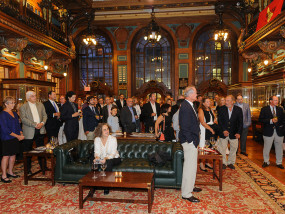 Held this year in the model room of the New York Yacht Club, this event presents a unique opportunity for sponsors and firm principals to meet and mingle before the excitement of race day. 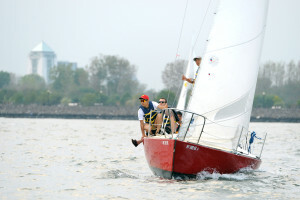 New York Yacht Club – 37 W 44th St.
Regatta Sponsors are invited to join the action and field a boat for a morning of racing on Thursday, September 12. Interested? Please contact any member of the committee, or fill out our contact form for additional information. 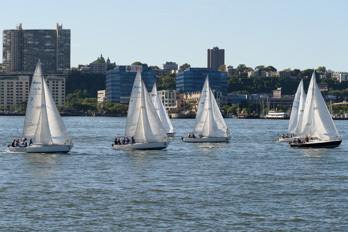 Hudson River Community Sailing – Pier 66, West 26th St. & 12th Ave.
Sponsors and guests are welcomed to watch the competition from the viewing party at the end of Pier 66 on the Hudson River off lower Manhattan. Following the conclusion of the Regatta, Sponsors, guests and participants are invited to a post-race party and award ceremony! followed by the after party and award ceremony!